When it comes to blue gemstones few are more beautiful than Azurite. It is created when copper and weather transform ore deposits. Since it was found at the Chessy-les-Mines commune close to Lyon, France it’s also called Chessylite. Because of its color it’s often associated with colors that are seen in winter skies and low-humidity deserts. Following are some other interesting facts about Azurite’s formation, characteristics and healing properties that you may find interesting. Just like in ancient times, Azurite is still used today as copper ore, a gemstone, for industrial uses and in ornamentation. The Greeks named it “kuanos” meaning “deep blue”. It is also said that it was named by the Persians who called it “lazhward” and the Arabs who named it “azul”. Azurite was used extensively in the east as a pigment in paints and dye in textiles. As a result, it can still be found in wall paintings in Central China as well as cave paintings in Western China. The Sung and Ming Dynasties as well as the Tun Huang were especially fond of the color, but it has also been found in paintings in Ancient Egypt and Japan. It became most popular with painters during the Middle Ages throughout Europe until the color Prussian Blue was discovered. One of the most interesting features of the gemstone is that it was believed to be used as ornamentation in statues in the Lost City of Atlantis. The Mayans felt it inspired the mystical self and used the stones to help transfer knowledge and wisdom into thoughts while Native Americans used it to contact spiritual guides. Azurite is rarely used in jewelry due to its low rating on the Mohs hardness scale. When it’s coated in wax or other protectants, however, it can be used in jewelry successfully that receives limited use. The rarest form is called “Bluebird” and is intermixed with a dark red stone called Cuprite. Another common mix is Azuite-Malicite which gives it a blue appearance with flecks of bright green. Azurite does not have any close relatives although it does resemble similar gems such as lapis lazuli, lazulite, charoite and sodalite. Color blue ranging from very pale to very dark including Azure-blue and Berlin blue. Crystal System: monclinic; short columnar, dense aggregates. Azurite is formed in one of two ways. It can be formed when water that contains carbon dioxide reacts with minerals that contain copper. Another way it’s formed is when limestone is exposed to cupic salts. Although its sometimes found in prismatic crystals, its more often mined in massive forms that have pseudomorphed into Malachite which is green. 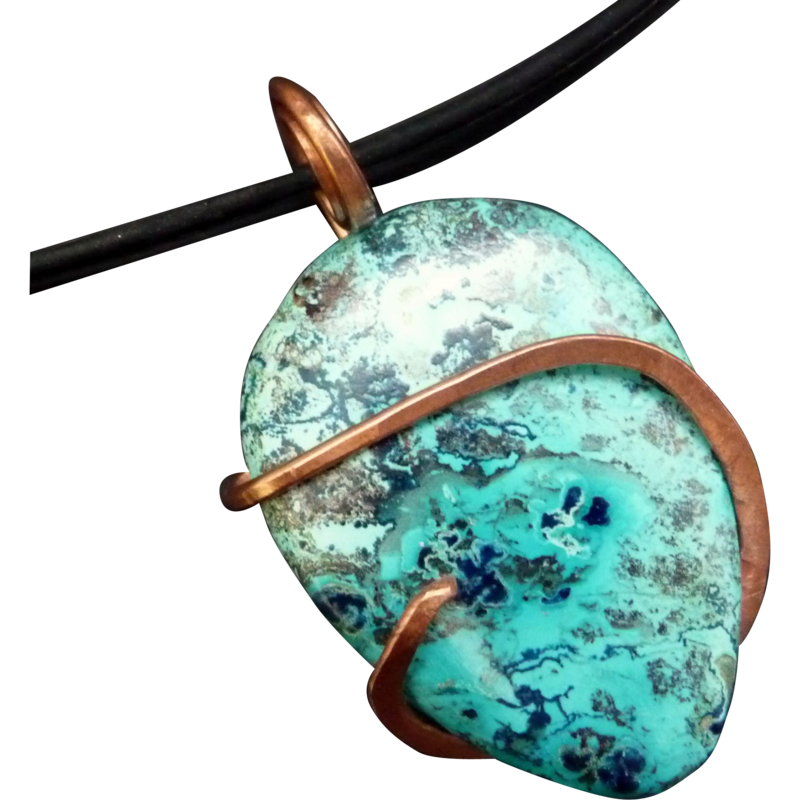 The green-blue mixture of Azurite and Malachite is especially popular with gem collectors. It can also be found with Chrysocolla and Turquoise. It should be remembered that it is sensitive to heat, light and air and the color will fade with over-exposure. The Egyptians viewed Azurite as a sacred stone and believed it would help enhance spiritual communication by increasing psychic awareness, skills and abilities. In fact, even today it’s referred to as the “stone of heaven” by the Chinese as it’s believed to open gateways to celestial planes. It helps align all 7 chakras but is especially helpful with the 3rd eye chakra. Azurite is an excellent stone when it comes to acquiring deep meditation easily. As a result, it guides the soul towards enlightenment as it has since the time of earliest civilizations. When it comes to the physical realm, throat and neck-related issues can be alleviated especially when it comes to sore throats and aching shoulder and neck muscles. Those will thyroid problems or asthma can also be relieved with the use of this stone. It is also believed to inhibit the growth of tumors and cysts. As a result, it helps the body remain strong by promoting healing and health. On a mental plane, Azurite promotes inspiration, clarity and balance. It also helps you along the path of life by helping you achieve your dreams. It enhances wisdom and maturity while promoting focus and intellectual growth. Azurite can alleviate confusion and tension while opening the mind to new possibilities. The gem also enables out-of-body experiences while exploring dreams and the past to enhance the future. Unlike most metaphysical gemstones, Azurite works best when held in the hand or worn then rubbed frequently. Music, especially ritualistic beats and tones, exacerbate its effects. You should wear or hold it daily in your receptive hand. When conducting crystal therapy it should be placed on the 3rd eye. It should be noted that it will wear away slowly if not taken care of. If used in jewelry azurite should be wrapped between uses so the surface does not become marred by other stones in your jewelry box. The gem should also be stored in such a way as to limit light, heat and temperature. Where Can We Find Azurite Today? Azurite is frequently found in copper mines in Africa, Australia, Chile, China, France, Mexico, Morocco, Russia and Zaire. However, it has also recently been found in Namibia, Tsumeb and the U.S. specifically in Arizona, New Jersey and Utah. The dust from Azurite is toxic so care must be taken during mining. When it comes to displaying the purest blue ray in a gemstone, nothing beats Azurite. It has a rich vibrancy that has attracted the attention of people throughout the world for centuries. However, it’s extremely soft and sensitive to environmental conditions making it less than ideal for jewelry pieces except to be worn on special occasions. The gem’s softness also makes it extremely easy to cut and shape. When it comes to metaphysical properties, however, Azurite can be an invaluable resource. 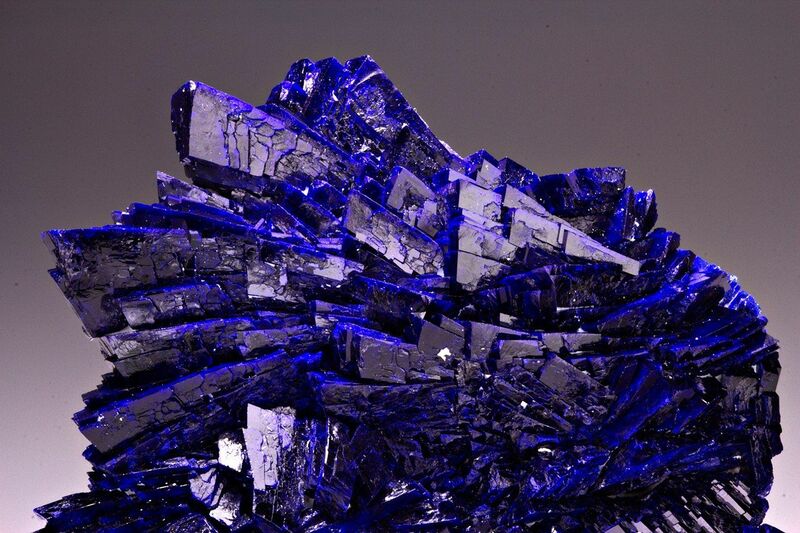 Hey Buddy!, I found this information for you: "Azurite Formation, Characteristics and Healing Properties". Here is the website link: https://accessgems.com/azurite-gemstone/. Thank you.